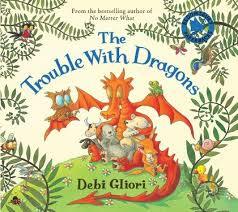 My next recommendation has to be The Trouble With Dragons by Debi Gliori. In this cautionary tale, the Earth is populated by dragons who have absolutely no concerns about how much the pollute the seas or chop down trees or eat all the food....it's their planet, after all. Why shouldn't they do whatever they want? 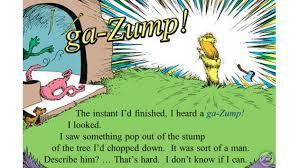 A fantastic, simple rhyming text and beautifully detailed illustrations give a strong environmental message. Now here is an old favourite from my childhood. 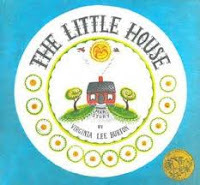 More about the passage of time and the effect of urban sprawl on the life and happiness of a small, beautiful little house, The Little House by Virginia Lee Burton still holds that message of care and stewardship we need to consider more. Built with love and care on the top of a hill, the little house will "never be sold for silver or gold", its' builder expects generations to live in her and love her as he has done. So the little house sits on the top of the hill, and wonders about the city which grows closer with each passing year. Hello! It's me again. Yes, I have been quiet as of late. There has been a lot going on in my life and I fear I have neglected Fallen Star Stories...apart from a few reviews, which rather a lot of you out there have been reading. Thank you for hanging in there with me. 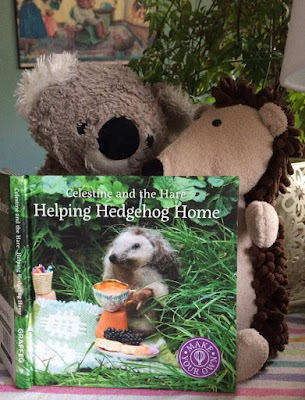 I'm going to give a bit of catch-up for those of you who are interested in the world of childrens' literature and what is currently happening. encounter, how they think and feel, what their true concerns centre around as they enter into the adult world. Possibly her most critically acclaimed book is Brown Girl Dreaming, an award-winning autobiographical novel, written in verse that tells her story, growing up in South Carolina and New York. 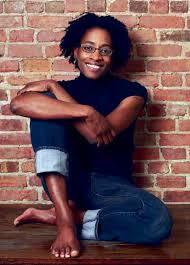 In January of this year, Jacqueline Woodson was named as the National Ambassador for Young Peoples Literature in the US. “It’s important to hold up mirrors for kids to see their experience is legitimate. 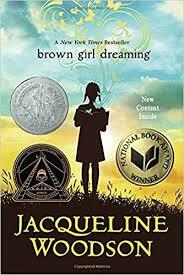 Too often those mirrors aren’t there for them.” Jacqueline Woodson. directly on to the page and into whatever tale he is illustrating. An amazing body of work! 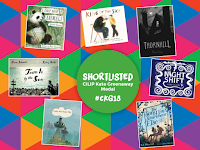 Thursday, 15 March saw the announcement of the shortlists for the 2018 CILIP Carnegie and Kate Greenaway Medals. 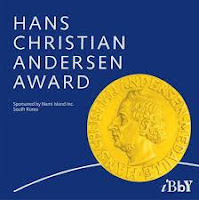 Each medal had a longlist of 20 books each. 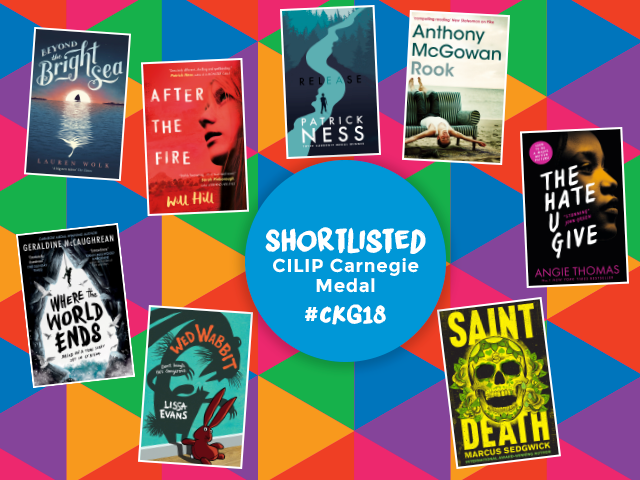 These have been whittled down to a llist of eight books competing for the CILIP Carnegie Medal and seven books for the Kate Greenaway Medal. 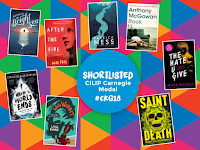 The CILIP Carnegie is rather YA heavy, with the books included being Release by Patrick Ness (stunning...and I'd really love to see him pull the hat-trick), After the Fire by Will Hill (wow...very strong and unique story line with fantastic characters), The Hate U Give by Angie Thomas (just powerful! 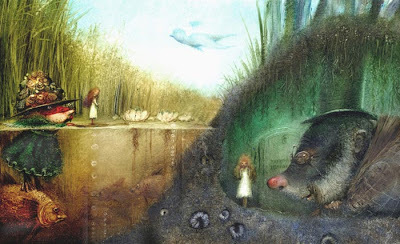 ), Beyond the Bright Sea by Lauren Wolk, Rook by Anthony McGowan, Saint Death by Marcus Sedgwick, Wed Wabbit by Lissa Evans and Where the World Ends by Geraldine McCaughrean. 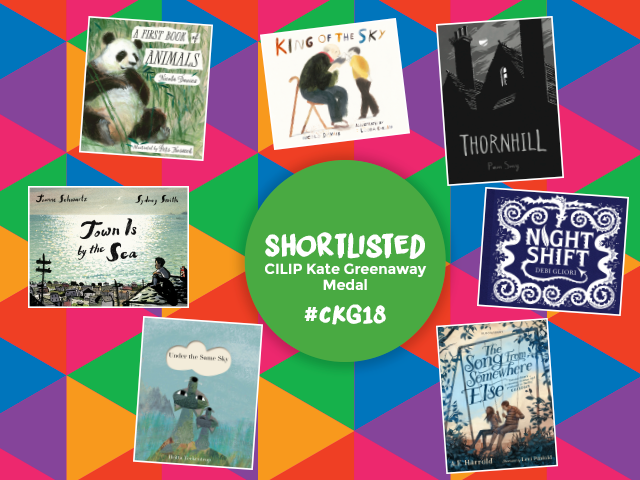 The Kate Greenaway Medal includes the following titles; The Song From Somewhere Else by AJ Harrold, illustrated by Levi Pinfold; Night Shift by Debi Gliori (I have to mention, this is more of an 'everybody' book rather than a childrens' picture book); King of the Sky by Nicola Davies, illustrated by Lauren Carlin; A First Book of Animals by Nicola Davies, illustrated by Petr Horacek; Town is by the Sea by Joanne Schwartz, illustrated by the incredible Sydney Smith; Thronhill, wirtten and illustrated by Pam Sym and Under the Same Sky written and illustrated by Britta Teckentrup. 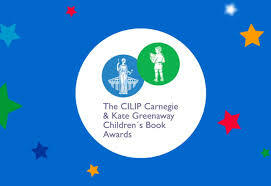 The announcement of the CILIP Carnegie and Kate Greenaway Medals will take place on Monday 18th June at a special daytime event at the British Library. The winners received £500 worth of books to donate to their local library, a commissioned gold medal and a stipend of £5000 cash prize. 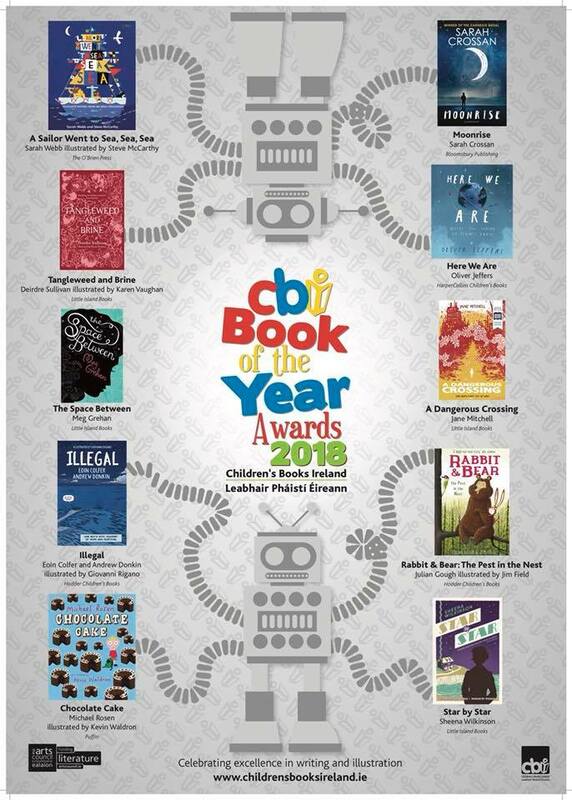 And I'm just going to mention again (see post previous to this one), the Childrens Books Ireland Book of the Year Awards will be announced on 23rd May at a ceremony at Smock Alley Theatre in Dublin as part of the International Literature Festival Dublin!